When discussing the dangers of “____ while black” in this white-settler colonial project known as the United States, the media focus is typically on expensive shops, wealthy white enclaves, airports, parks, city sidewalks, predatory hypermarkets—you know, any place where white people are known to click their heels three times—9-1-1—and lock all the Negroes away—or have them killed. 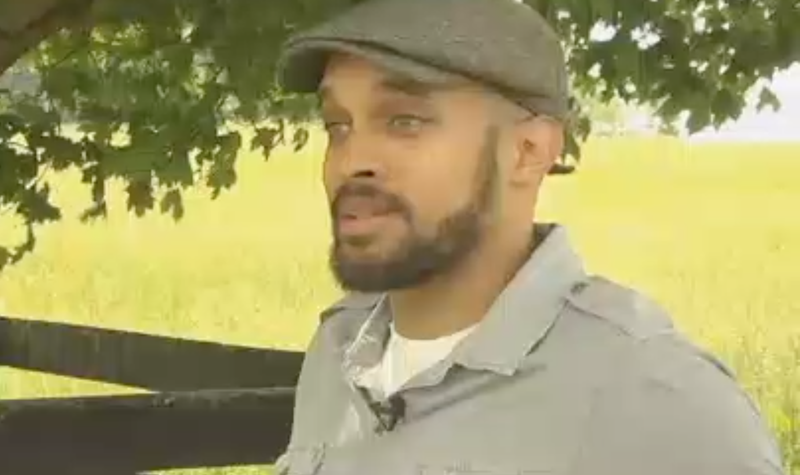 Now Chris Newman, the owner of Sylvanaqua Farms in Albemarle County, Va., has broken down the dangers of farming while black so that it can forever and consistently be broke. In a Facebook entry that has since gone viral, Newman posted an image of white supremacists gathered at Charlottesville, Va.’s Lee Park and waving that filthy rag of a Confederate flag in protest of the City Council’s vote to remove a statue of Gen. Robert E. Lee. Still, Newman wrote, out-and-proud white supremacists are not as dangerous as skittish white people who get nervous when they see black people—even if they never say anything to anyone besides the police. Newman said that it is so-called progressives who get nervous when they see a black man on his knees, digging in the dirt on a property, not thinking that he may be testing soil. He said that it is so-called progressive white people who see him walking around an expensive property and assume that he’s trying to rob the place, NBC29 reports. In the Facebook post, Newman said that he doesn’t concern himself with Confederate-flag wavers when “nice” white people who have not faced their own anti-blackness place his life in danger every day. Truth is, as a Black dude, I’m far less bothered by the flag wavers in this picture than this town’s progressives assuming its race problem has nothing to do with them. The former is a visual inconvenience. The latter could leave my daughters without a father. Second is the sheer degree of cultural appropriation going on with businesses in the city proper. It’s little things - e.g. shops and other businesses incorporating wide swaths of hiphop culture into their branding while having not a single Black owner, partner, employee, or vendor. And those businesses are KILLING IT here. This is a town where Blackness advances White-owned brands and subjects Black-owned businesses to inspection by law enforcement. It isn’t Richard Spencer calling the cops on me for farming while Black. It’s nervous White women in yoga pants with “I’m with Her” and “Coexist” stickers on their German SUVs. Come all the way through, Mr. Newman. Malcolm X taught us a long time ago about the fox and the wolf; now Newman is reminding white liberals that he can still see their teeth even though they’re smiling. And he’s absolutely right: White supremacy is a party crasher; it wears red and blue, loves green and loathes black. The “nice” white people of this morally bankrupt nation can’t claim to be horrified by the atrocities committed under the Confederate flag if they don’t admit to the violence committed under the U.S. flag—and work to rectify it. If white liberals are as serious about dismantling this retched system as they claim to be, then they must stop hiding behind white supremacists like Richard Spencer and address their own investment in maintaining that system. Or they should just go ahead and admit that they’re wolves.